Summertime is the perfect time for picnics, BBQs and backyard parties. I love having my friends and family over for some delicious food, cold drinks, and good conversation. This is a sponsored post from Best Buy, however, all opinions are 100% my own. No party is complete without music so make sure to have good speakers, like the Ultimate Ears MEGABLAST and BLAST Portable Speakers available at Best Buy. The Ultimate Ears MEGABLAST and BLAST are portable speakers that will bring your music to life with their deep, heart-pounding bass and amazing clarity. Both options have Amazon Alexa built in so you can ask Alexa to blast tunes, discover new music, crank the volume or find new restaurants. They are also wifi and Bluetooth enabled with a 150ft connection range for the Bluetooth and a 330ft Wi-Fi connection range. The speakers’ water-resistant and dustproof design allows them to be immersed for up to 30 minutes in up to 1m of liquid so you can bring it by the pool and not worry. The MEGABLAST and BLAST are available in 4 colors, Graphite, Blue Steel, Blizzard, and Merlot, to match your style. The MEGABLAST is Ultimate Ears most powerful speaker with two 25mm tweeters, two 55mm active drivers and two 85mm x 50mm passive radiators that provide the crisp and clear sound. You can listen to your music all day due to its large built-in battery that lasts up to 16 hours and if you need to keep the music going longer, charge it while it’s playing with the optional Ultimate Ears Power Up Charging Dock or the included wall charger. The BLAST can also play while charging and provides up to 12 hours of battery life on a single charge. It has two 35mm active drivers and two 81mm x 39mm passive radiators for 360° of crisp and clear sound. The Ultimate Ears app enables you to remotely control the volume and to check on the status of the battery. You can also check the battery status on the speaker itself by simultaneously pressing the “+/-” volume buttons. Use the custom equalizer (EQ) to personalize your sound for any artist or music genre. 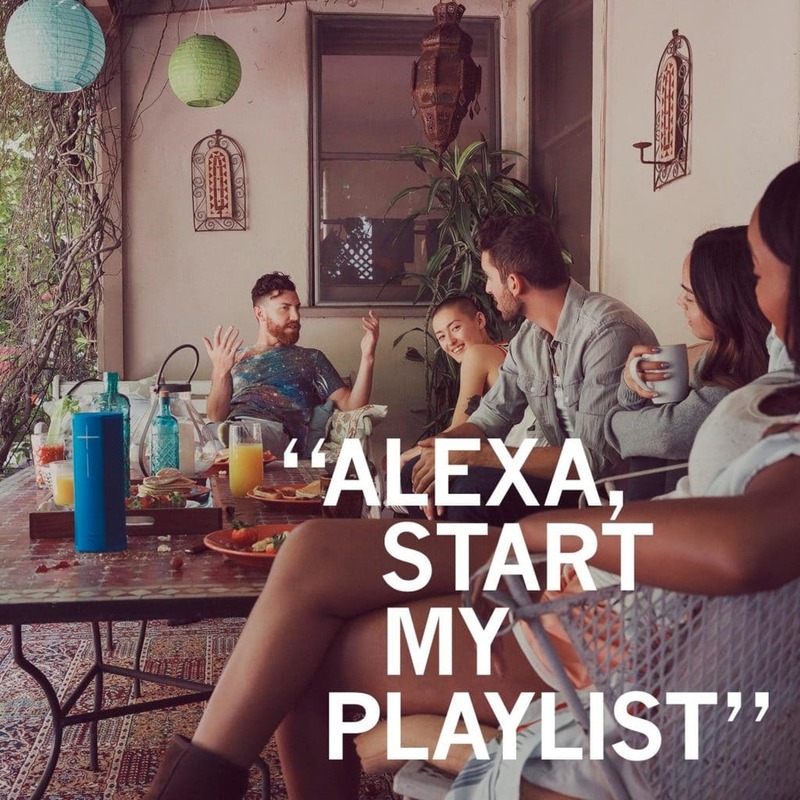 Additional features that are coming soon are voice control on Spotify, Spotify Connect, and the ability to group up to 8 MEGABLAST and BLAST Portable Speakers together. 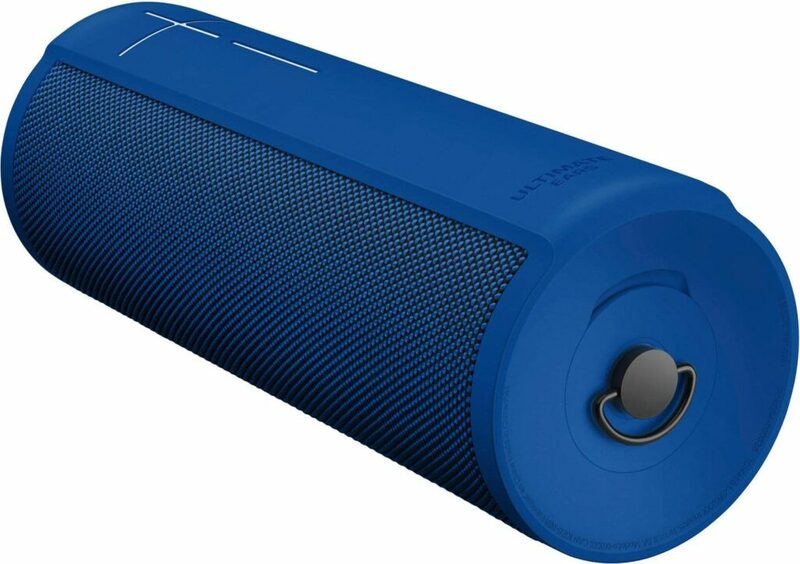 Order your Ultimate Ears MEGABLAST and BLAST Smart Portable Speakers from Best Buy today.